Made in the late 1990s, the Polaroid One 600 instant film camera was last in the series. The camera is in good age specific condition, when tested with an empty film cartridge the flash flashed and the film transport made the normal gear turning noises, cycled the camera 3 times. 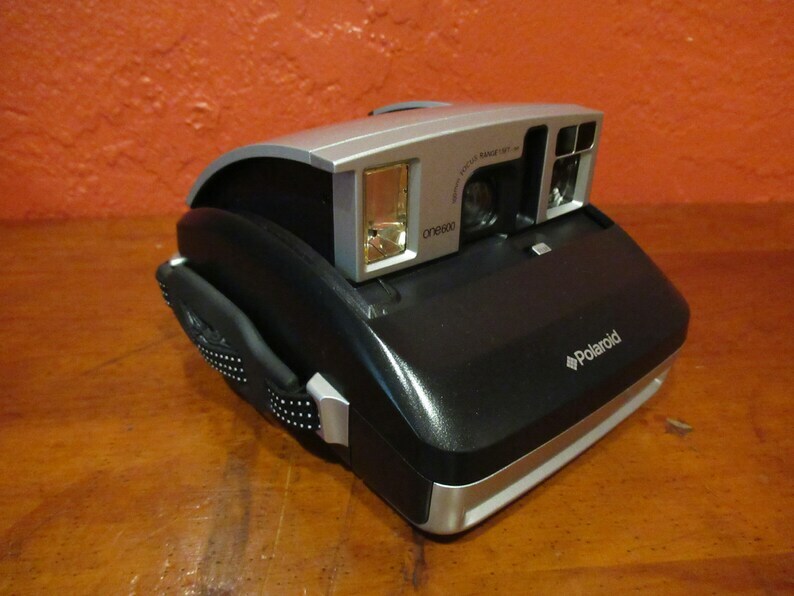 This nice Polaroid One 600 camera is sold as a used item, as is, as shown.